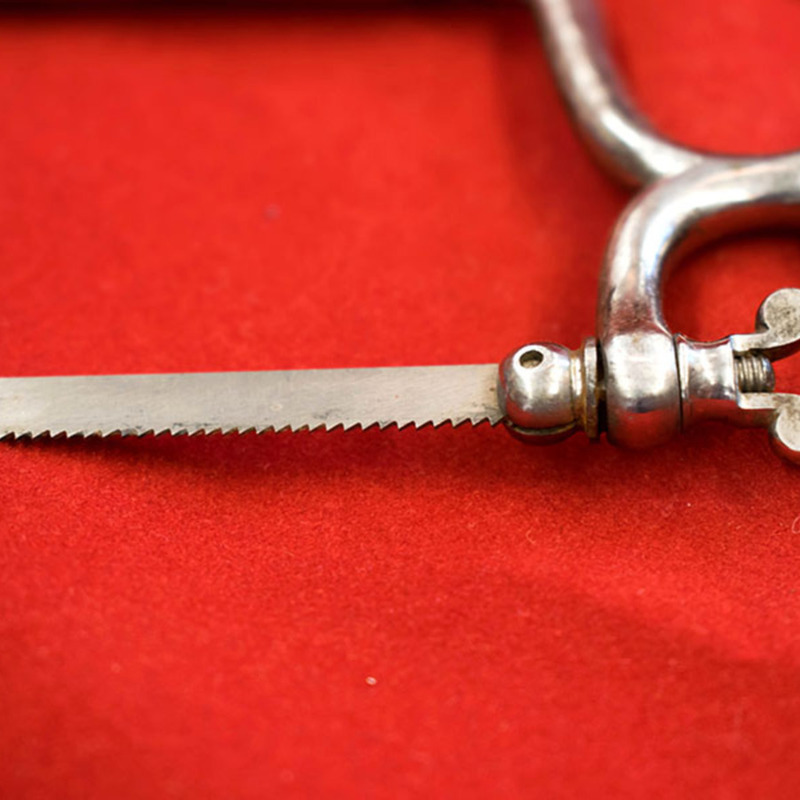 Pictured here is a fine-toothed bow saw and handle from William Beatty's surgical set. 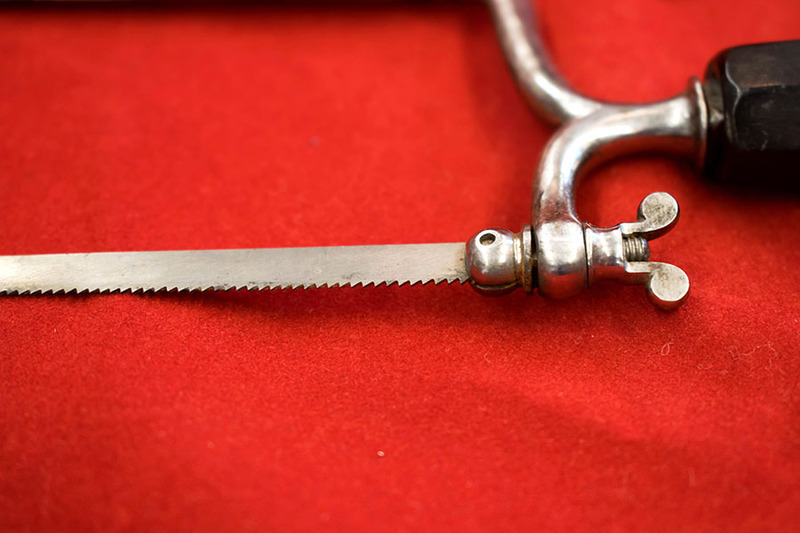 Laundy; 1783-1843; surgical instrument makers, “William Beatty's Fine-toothed Bow Saw,” Heritage, accessed April 23, 2019, https://heritage.rcpsg.ac.uk/items/show/139. 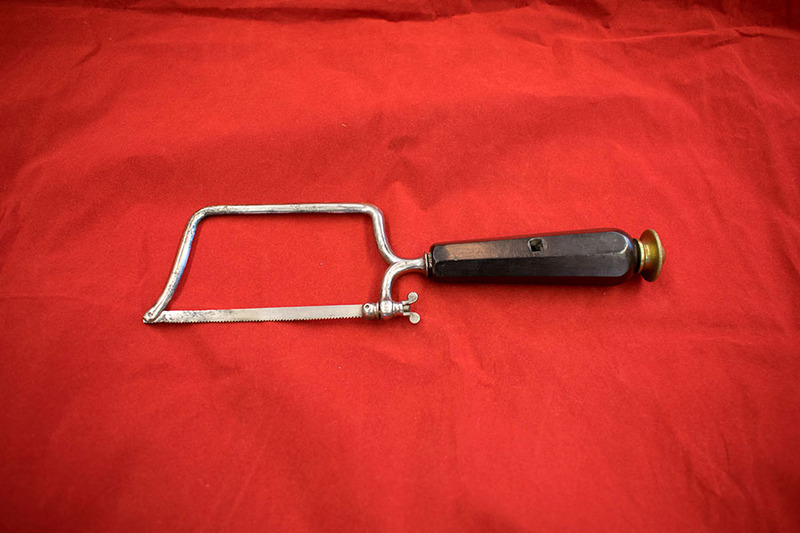 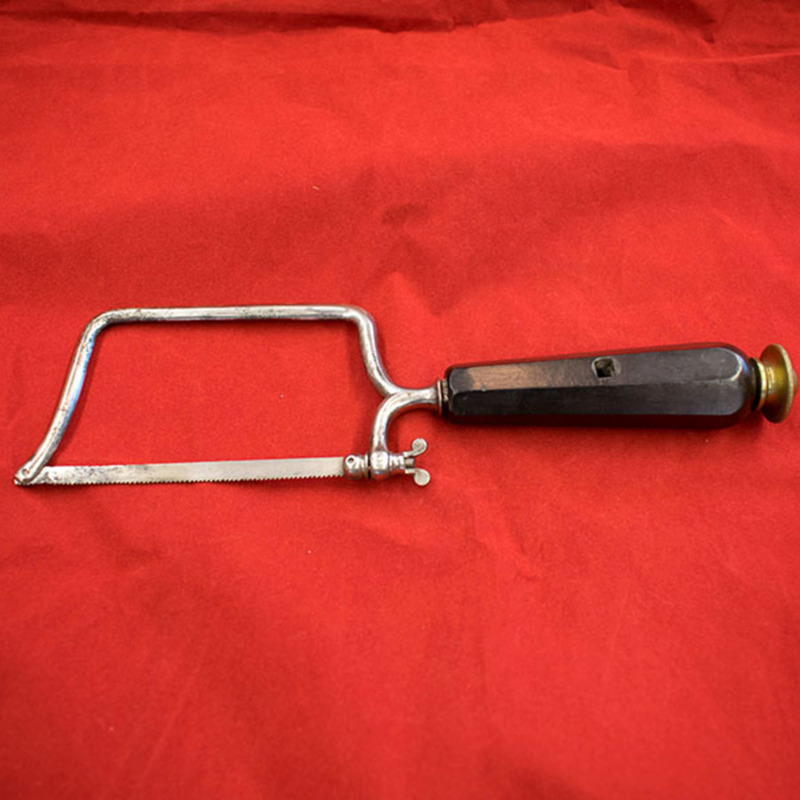 Description: Pictured here is a fine-toothed bow saw and handle from <a href="https://heritage.rcpsg.ac.uk/items/show/id/54">William Beatty's surgical set</a>.